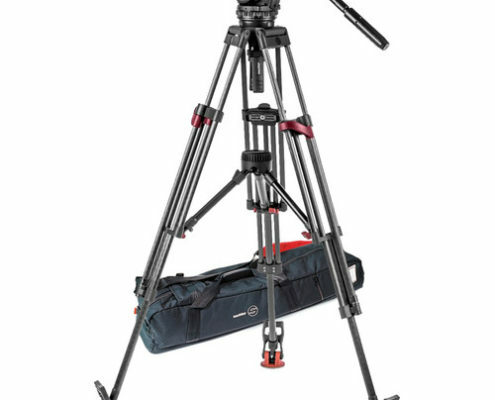 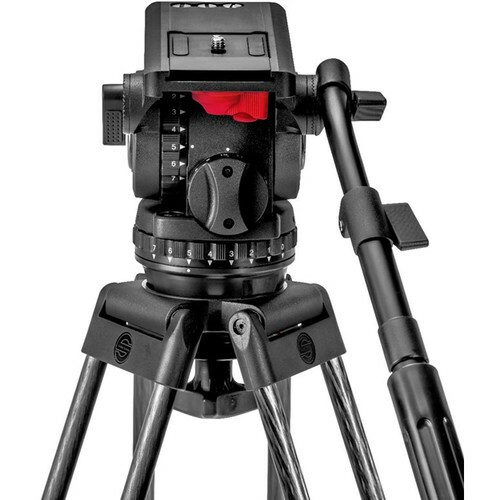 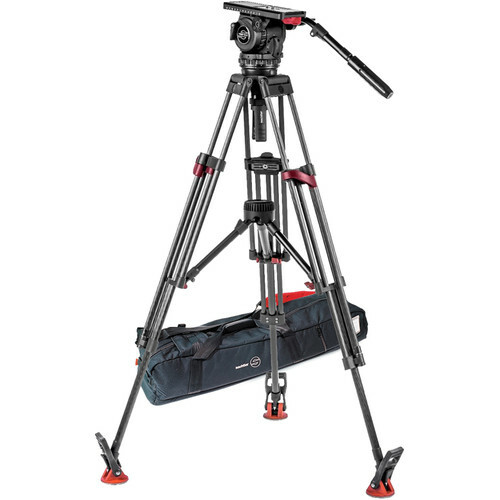 Sachtler Video 18 Tripod Able to handle DSLR setups weighing four pounds up to ENG and digital cinema cameras weighing 40 pounds, the Sachtler Video 18 Fluid Head can fit into a wide range of video productions. 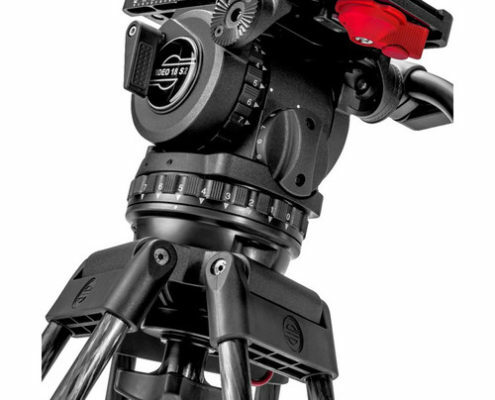 Sixteen steps of counterbalance and seven steps of pan and tilt drag, along with locks for each axis, let you easily customize the response of the Sachtler Video 18 to fit your application, be it studio or field production. 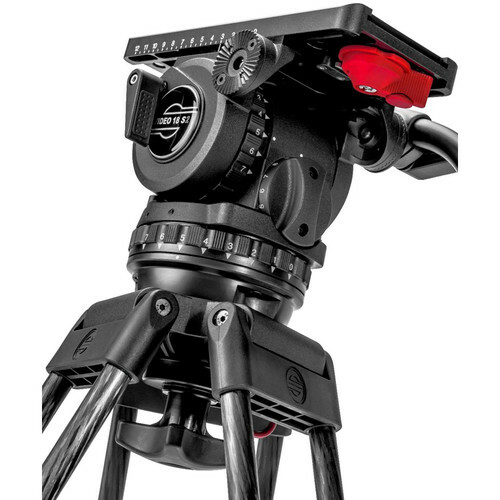 The top of the Sachtler Video 18 head is dominated by a sliding balance platform which accepts Sachtler’s convenient Touch & Go quick release camera plate. 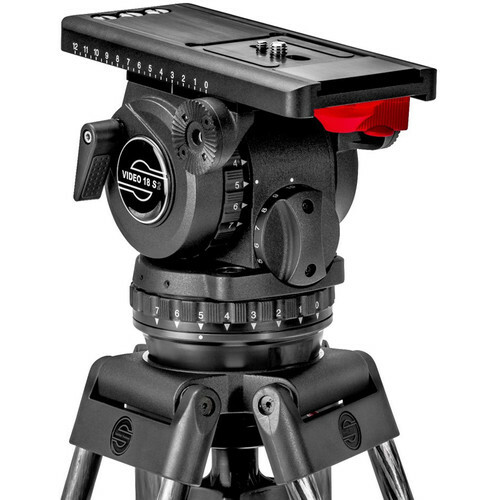 Once the plate is secured, the entire platform adjusts to balance your camera setup. 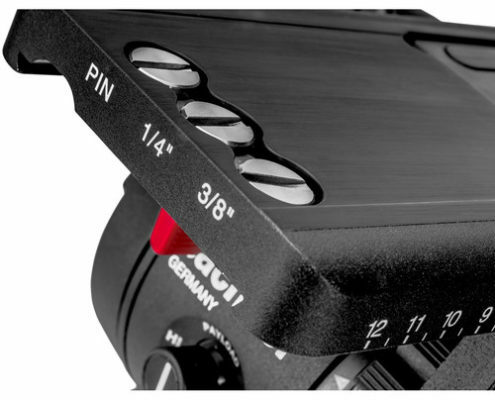 At the front of the platform, parking spaces for 1/4″-20, 3/8″-16, and registration pin screws are available for when they are not being used. 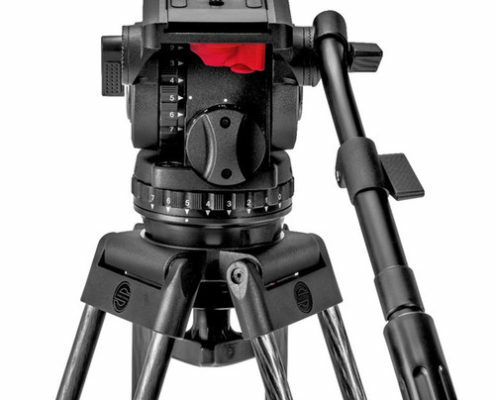 on Both sides of the head feature rosette mounts for pan handles. 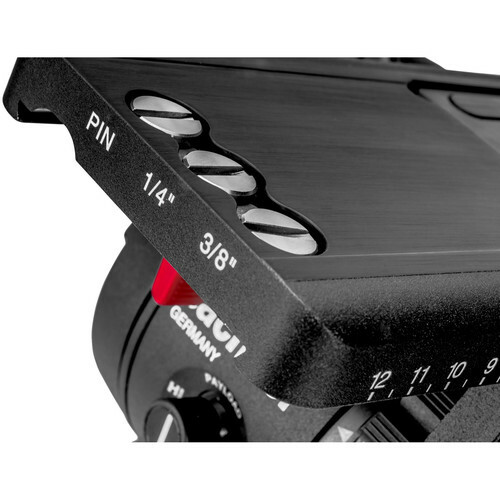 A right-side pan handle is included with the Video 18. 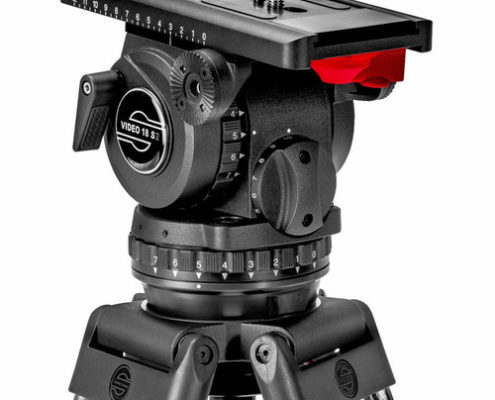 The base of the head terminates in a 100mm bowl mount for coupling with industry standard tripods, jibs, sliders, or other grip equipment that feature 100mm bowls.